The 10 - member boxing squad along with its support staff were given a warm send - off by the Boxing Federation of India (BFI) here on Tuesday. The dignitaries present on the occasion included DG Sports Authority of India (SAI) Neelam Kapoor, BFI President Ajay Singh, Cdr. Rajgopalan, CO, TOPS and India's team manager and veteran BFI member Nirwan Mukherjee along with other senior officials from the Sports Authority, according to a statement. The pugilists with memorable outings in Germany, including their participation in the Chemistry Cup, were upbeat after their exposure trips and participation in a string of top notch international tournaments ahead of the Games. "Our boxers have really worked hard, put in months of effort and are battle - ready for the Asian Games. 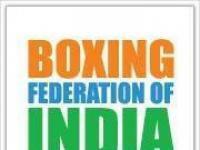 I am confident of a good show by them and hope we can contribute handsomely to India's medal tally, " said Ajay Singh, BFI President, wishing the boxers a good, medal - winning outing. DG SAI, Neelam Kapoor said that the boxers have been proving their worth consistently by winning medals in international competitions and she was hopeful they would do India proud yet again at the Games this time. "We always bank on the boxers to deliver and they have rarely failed us, " said the director general, as she wished the contingent the best of luck. Vikas Krishnan, the 2010 Games gold medal winner, was very upbeat while he interacted with the reporters, saying he was looking forward to winning gold in the 75 kg class in Jakarta. "We cannot ask for a better preparation than what was provided to us. We began soon after we returned from the Commonwealth Games at Gold Coast, " Vikas said. "We participated in top international tournaments; the best of all was the challenges we faced at the Chemistry Cup in Germany. We have the best possible team and I am confident of a strong finish, " the Arjuna awardee added. She sounded optimistic about her performance as well as the other two members who will be making their debut in the Asian Games in Jakarta. "Like me, they too have made good preparations. During our trip to Mongolia and Russia recently we had the best exposure possible against some of the top boxers from powerhouses like Uzbekistan, Kazakhstan, Chinese Taipei, Japan and Hong Kong, " Lather said. "Our coach (Rafeele) has worked with us on various strategies to tackle possible tough situations. All of us are confident and surely each one of us will be aiming for gold, " said the silver medallist from the 2016 World Championships. Performance Director and Men's Foreign Coach Santiago Nieva and Women's Foreign Coach Rafeele Bergamesco said India had a very good chance. "Our preparations have been really good and the boxers are in real shape. This gives us all the assurance that we will return home with medals, " said Nieva. The boxers so far have amassed 55 medals in the Asian Games. The continental event which is in its 18th edition will start on August 18, with the boxing events commencing on August 24 and will run till September 1.